A repackaged, reimagined version of Alpha filmed all around the globe, in a set of four DVDs. 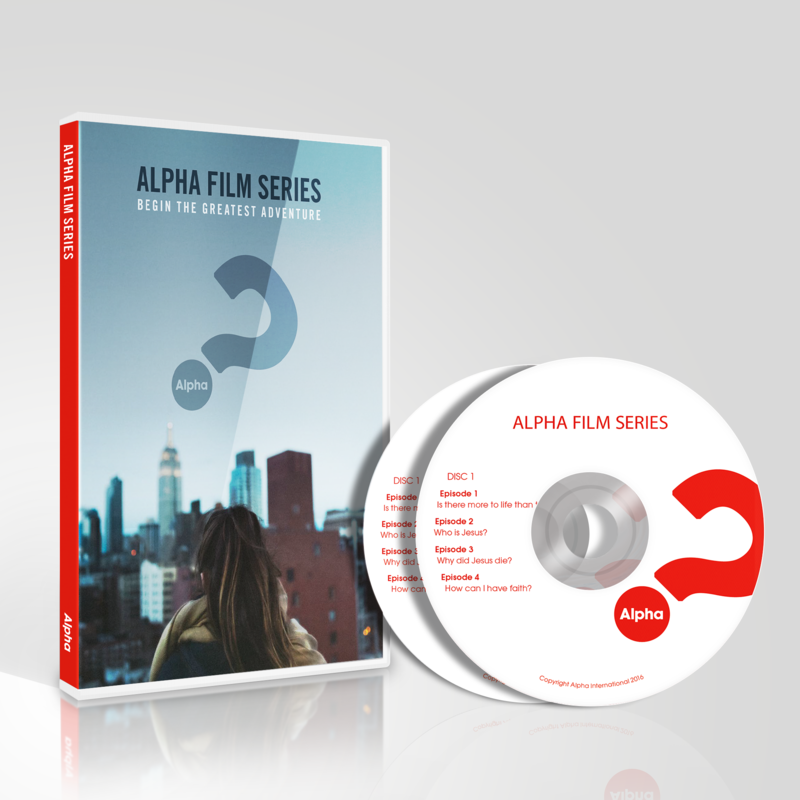 The Alpha Film Series is a new way to engage with the basics of the Christian faith. Presenters Nicky Gumbel, Toby Flint and Gemma Hunt bring the traditional Alpha material to life in a new, global set of sixteen episodes. Just like at any Alpha, each session explores a different question people can have about the Christian faith. The series features interviews with public figures such as world-renowned scientist Francis Collins of the Human Genome Project and adventurer and author Bear Grylls. Episodes: Is There More to Life than This? Who is Jesus? Why Did Jesus Die? How Can I Have Faith? Why and How Do I Pray? Why and How Should I Read the Bible? How Does God Guide us? Introduction to the Weekend Who is the Holy Spirit? What Does the Holy Spirit Do? How Can I Be Filled with the Holy Spirit? How Can I Make the Most of the Rest of My Life? How Can I Resist Evil? Why and How Should I Tell Others? Does God Heal Today? What about the Church? Training 1: Small Groups Training 2: Prayer and the Weekend. The Alpha Film Series is designed to help reach a new audience, in a new way. Covering all the traditional Alpha content, the series takes the viewer on a journey exploring life, faith and meaning like never before.